But for America Singer, being Selected is a nightmare. It means turning her back on her secret love with Aspen, who is a caste below her. Leaving her home to enter a fierce competition for a crown she doesn't want. Living in a palace that is constantly threatened by violent rebel attacks. 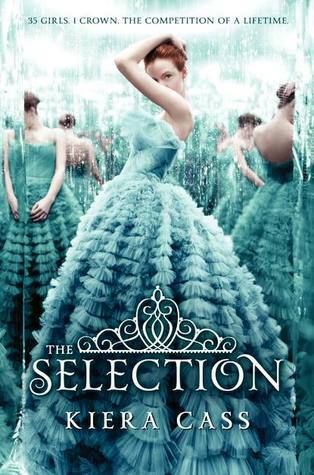 The cover of “The Selection” by Kiera Cass is gorgeous, but I wasn’t completely sold on her book just yet. I waited to see what people were saying and what they thought. I was surprised by how many negative reviews it was getting. (I don’t read book reviews, but I do look at the star ratings). I waited a little bit longer before finally going out and buying a copy of “The Selection.” Why would I take the time to buy a book that was getting so many negative reviews? Mainly because I wanted to see why this book was causing so many ups and downs; half the reviews are low stars and the other half our high stars, I thought I would finally give in and have an opinion. Not to mention the Epic Reads girls encouraged my decision to give “The Selection” a chance too. I really liked “The Selection.” I am not a huge reality TV show person, I’ve seen “The Bachelor” and “The Bachelorette” a few times, but I really only watch dancing or singing reality TV. I would have to say that “The Selection” would be more like “The Bachelor” in a sense mixed with “The Hunger Games.” “The Hunger Games” really? Yes, “The Hunger Games.” You have the whole aspect of dating on the show which is why “The Selection” would be similar to “The Bachelor,” however “The Hunger Games” comes into play because of the society that the people live in and how they are counting on someone to win. There isn’t any real violence of killing people like there was in “The Hunger Games,” but there are still rewards when someone wins. The idea of the book made is seem like it was closer to a reality TV dating show but the story was more than just a cheesy teenage sitcom, Kiera Cass adds real depth to her characters and provides a great story of how a girl is growing into a woman while it is being witnessed on TV. I would have to say that I do not envy America one little bit because I wouldn’t like having my every move be watched or filmed. Not only is there a film crew recording events and doing interviews, but there are also people in the palace watching these girls as they all date the prince. Oh and to top everything off, I wouldn’t want to share my boyfriend with anyone, so this situation really wouldn’t have worked out for me. America joined “The Selection” because the boy that she was in love with said that he couldn’t consider being with her unless she did because he would always wonder “what if” if she hadn’t joined. America didn’t actually think she would be chosen as a candidate to compete for the Prince’s hand in marriage. The first night in the Palace, America chastise the prince for the situation that she was in and how he could keep the women locked up to just date all of them whenever he felt like it. This was the first instance that the prince began to fall in love with America, however America was still to hurt from her boyfriend, Aspen, dumping her. America befriends the prince and then she too begins to fall in love but when Aspen shows up at the palace, everything becomes complicated again. Who will America end up choosing Prince Maxon or Aspen? By the end of this book, I could see why readers loved it and I could also see why readers hated it. My opinion is the one that I wanted to know and figure out. I really liked “The Selection.” I thought it was better than I imagined and I don’t think I gave it a fair enough shot the first time I picked it up and looked it over. 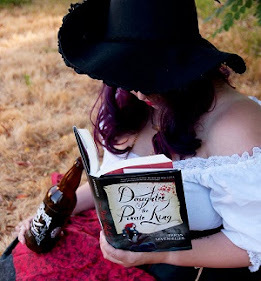 There is some fluff in this novel, I wasn’t expecting anything different, I mean come on it is a princess novel, but I also thing that it was very down to earth too. Cass did a great job creating a world that wasn’t high fantasy but it wasn’t our reality either. I think Cass found a happy medium that worked for America’s story. Have I chosen a team yet? I normally don’t choose teams when I read books but I would have to say that I definitely chose a team for “The Selection” triology. I am on Team Maxon. Yes, I do want the prince to win. I don’t think Aspen deserves America, plus I think America would make a great queen. I really hope things work out between Maxon and America. I give "The Selection" four out of five bookshelves.